Peel and mash the avocados with a fork.Add the lemon juice. A teaspoon at a time, add the salsa. Only add til you get the consistency how you like. Taste and add salt if needed. 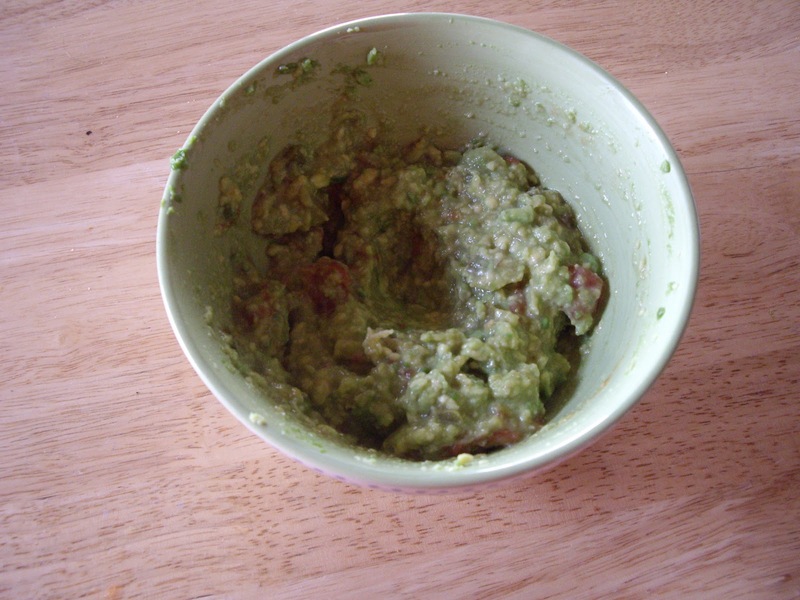 Put a piece of plastic wrap right on top of the guacamole and let the flavors meld. Covering it is a must or the avocados will turn a brownish color. Now grab some chips and dig in.